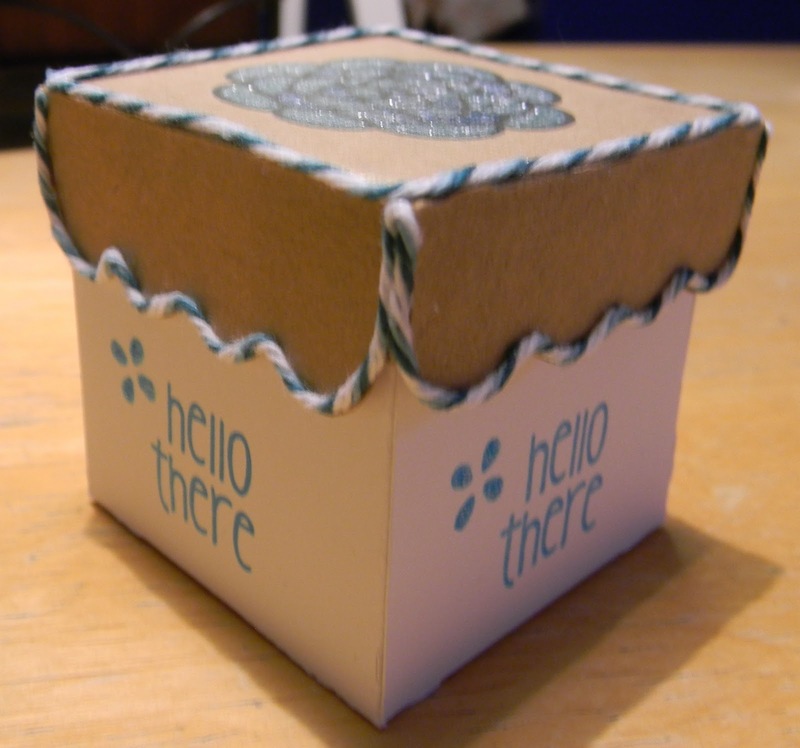 This is a small treat box I made for you today. 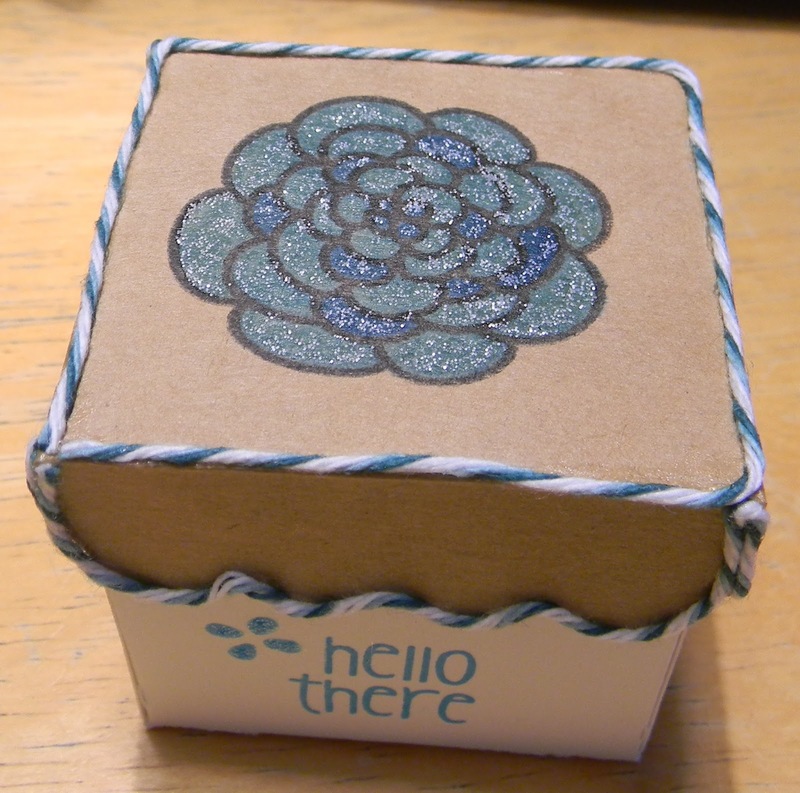 I also used The Alley Way Stamps Petal Pushers stamp set on this cute little box. 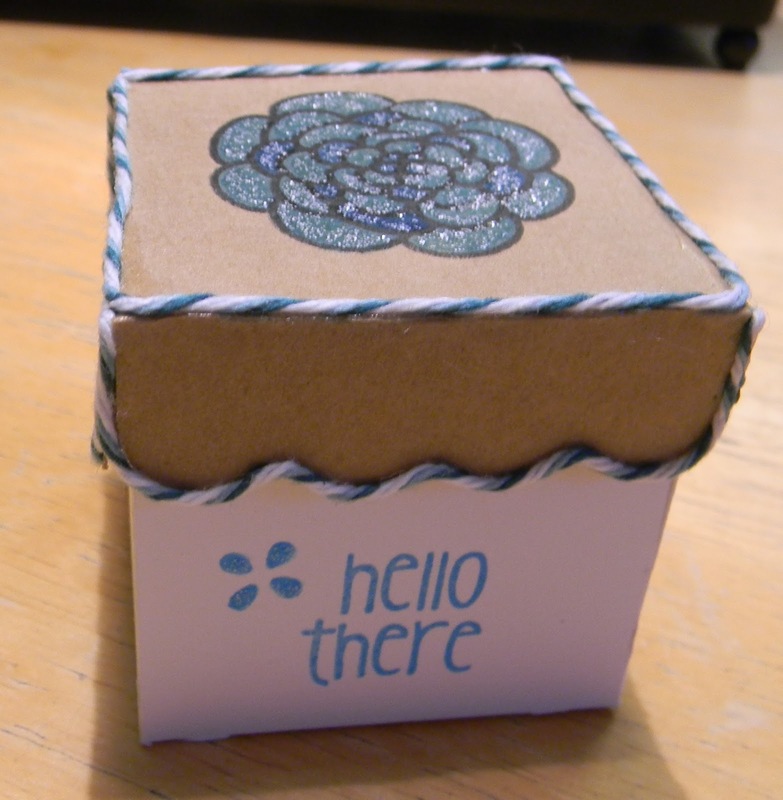 The box and lid is 6 inches high cut from the Sweet Tooth Boxes Cricut cartridge. I carefully glued the twine around the lid and finished it off with some Frosted Lace Stickles. Thanks for stopping by today! 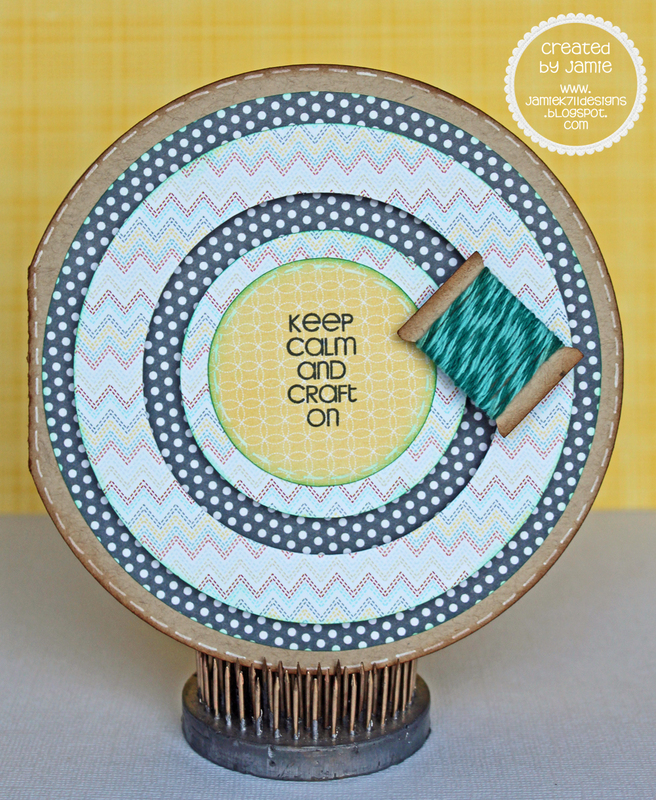 Make sure to head back next week to see what fun twine colors we are showcasing. 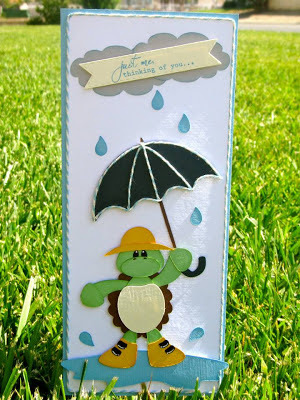 So for my card today I get to post a project using one of these colors, plus Kraft (which follows our challenge that just recently ended for this month) and some of the fun The Alley Way Stamps. Doesn't this make you want to hit the beach??? Here is the close-up of my twine surf boards... 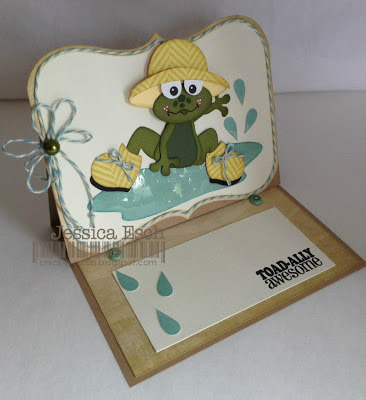 They are a sneak for the new June release from TAWS ~ Tropical Hideaway stamp set. 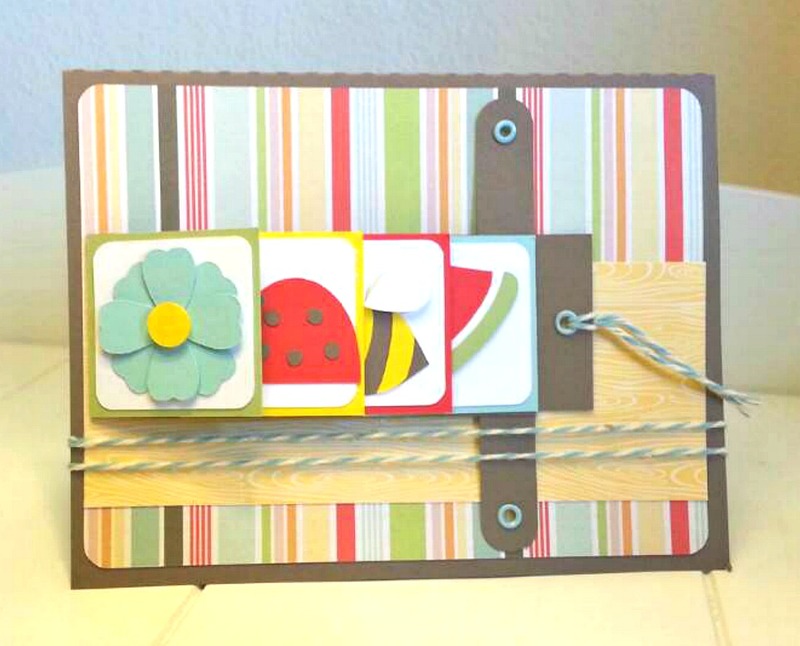 I added the twine to the center of the boards and then thought they needed a bit more embellishing. Don't forget to hop over to the NEW store HERE and pick up the colors of the month! They are only on sale for a few more days. Thanks so much for stopping by and have a GREAT rest of the week!!! 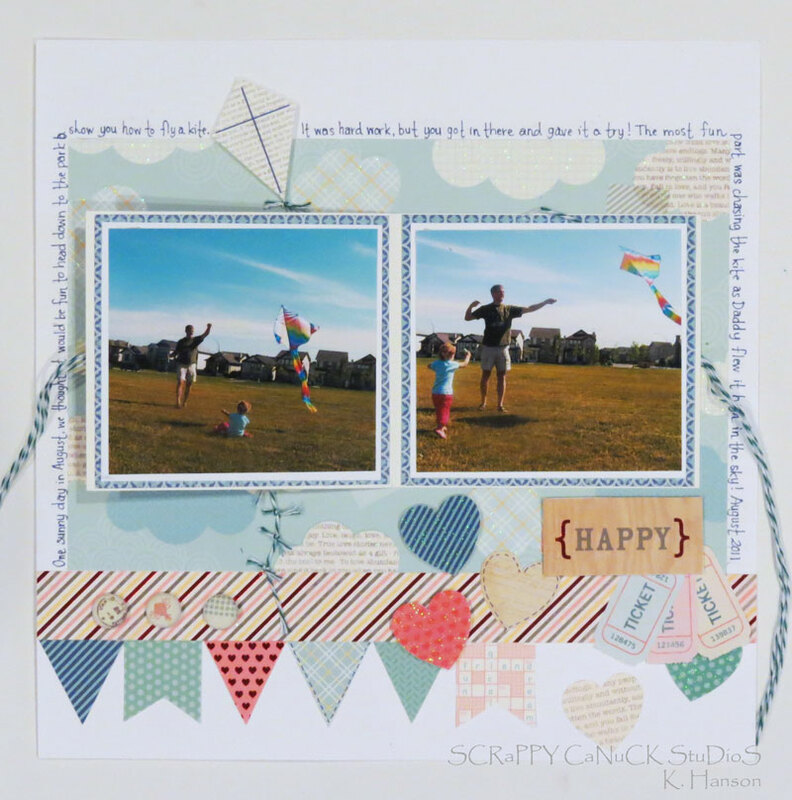 It's Karen from ScrappyCanuck Studios, and I am here today to share with a little layout I created with the awesome Tickled with Teal twine! 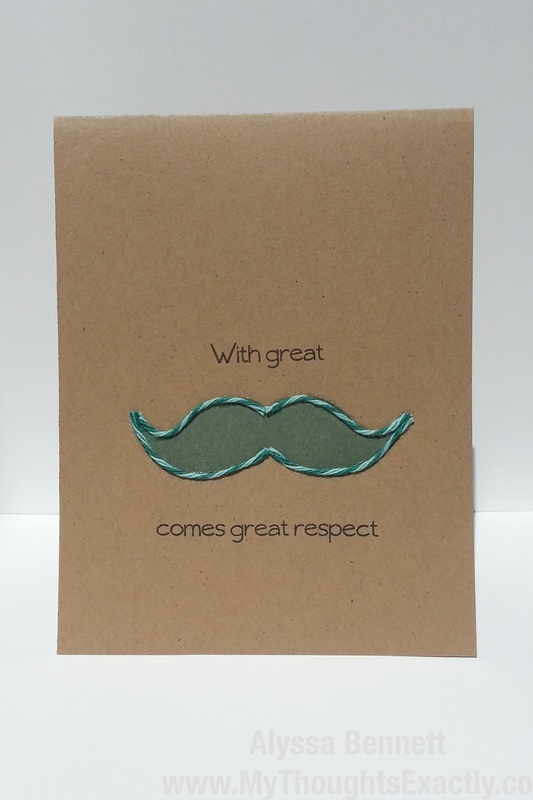 This colour is a fabulous combination of 2 colours of teal and white. Since teal is everywhere in paper patterns right now, it's a perfect staple for your crafty stash! This was a layout I created to celebrate an afternoon adventure I had with my family - we went out to fly a kite! I thought that the twine would make great tails for the kite embellishments and it was as easy as tying on small strands onto a longer one and then tacking in place with a bit of Glossy Accents. I also used the twine to help me with one of my favourite techniques - hidden photos! 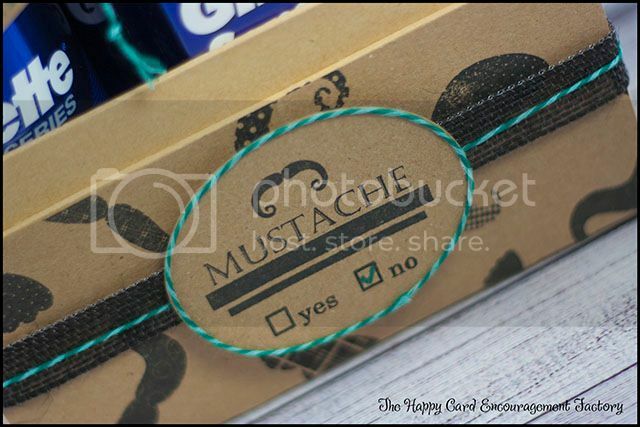 When you untie the bow, the flap opens to reveal a couple of extra photos of our adventure! 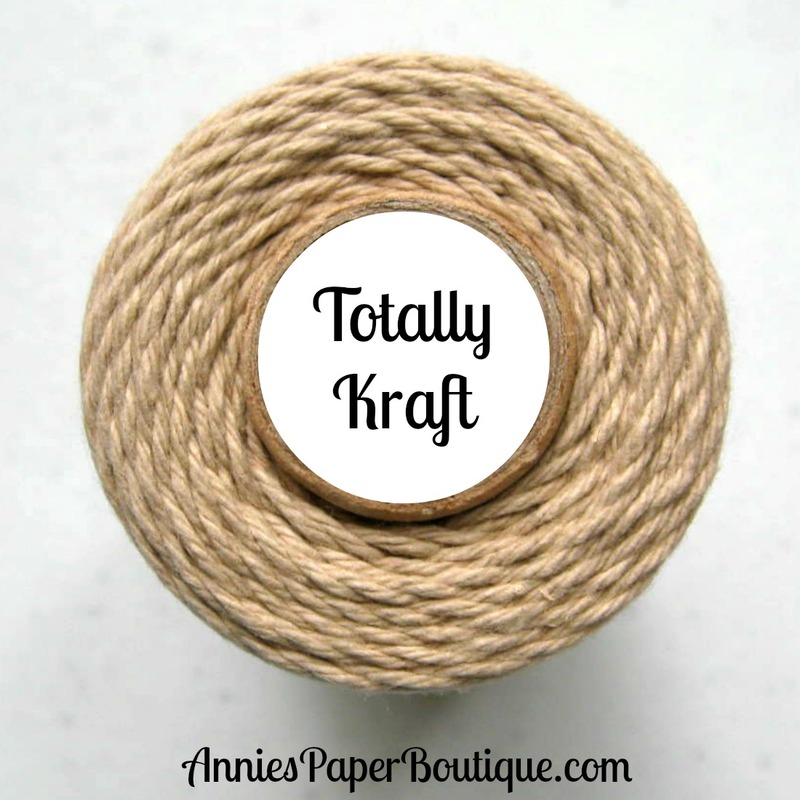 Twine is the perfect way to keep these types of elements in place, and so easy to tie back up when you are ready to put the layout away. You still have time to pick up the great teal colours that we have here at Trendy Twine! You don't want to miss out! 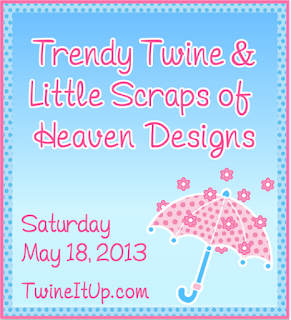 Be sure to stop by the Trendy Twine Blog to check out all the latest inspiration from the design team! 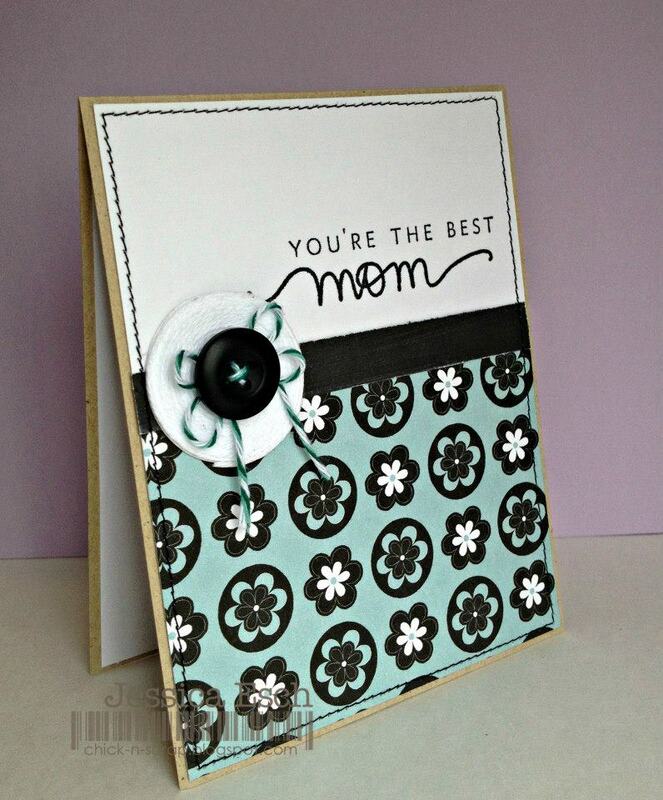 Hi Everyone - Today is my last post as guest designer for the month of May. I really enjoyed creating projects using Trendy Twine's wonderful twine. 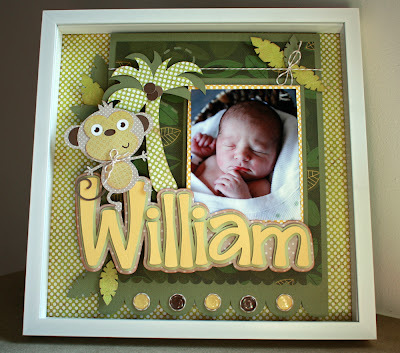 I love to create shadow boxes (lots of examples on my blog). It all started about 3 years ago when I made one for my coworker. It has spread from there and I've probably made close to a 100 shadow boxes for family and friends. 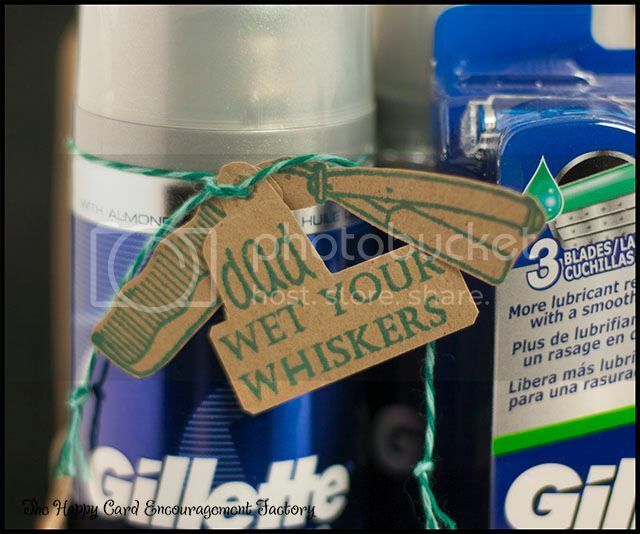 They really do make a perfect gift for a shower. 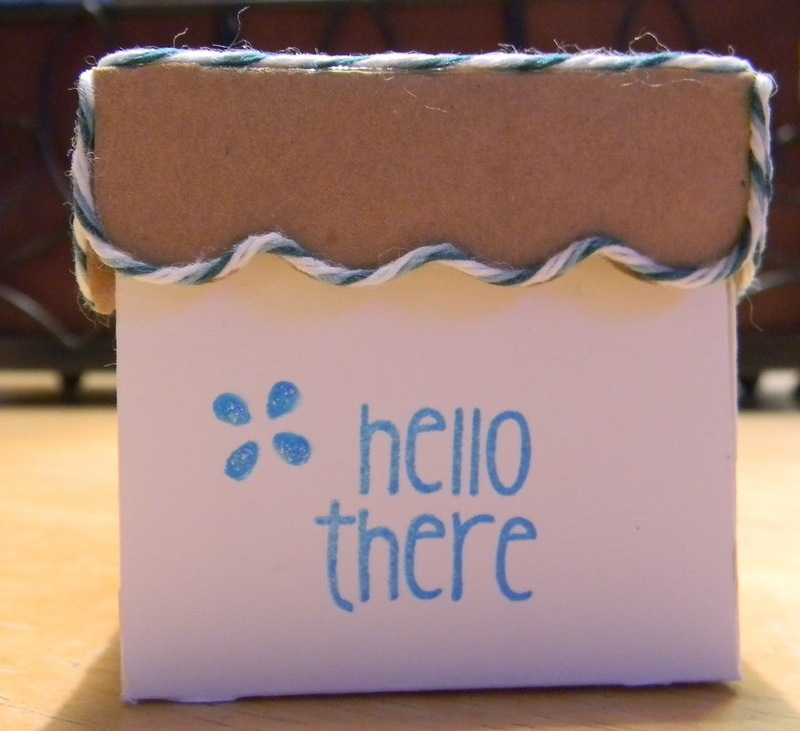 Here is one I created using Trendy Twine! Pick up a frame at Joanns or Michaels. 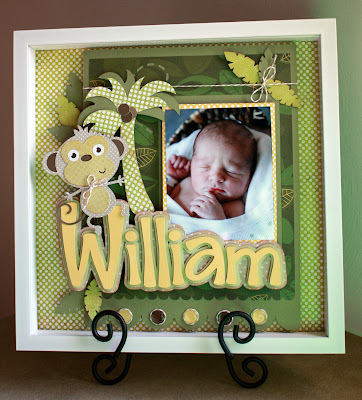 (I get the white ones from Joanns) I start out by taking a peek at the baby registry online - that will give you a good idea of what the color scheme and theme is. Then start cutting your elements. Once you have everything cut add foam tape or pieces of foam core under the elements to give it dimension. Afterall it is a shadowbox so make some shadows. 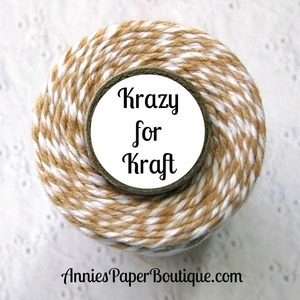 I added Krazy for Kraft Trendy Twine to my project which was the perfect accent. You can either hang this in the baby's room or purchase a holder at Joanns to display in the room. Hope everyone is having a Great Week so Far, I can't believe it's Thursday already. Yay! This month we are showcasing Tickled with Teal and Twisted Teal, they are also both on Sale this month. You have still have until tomorrow to link your project. 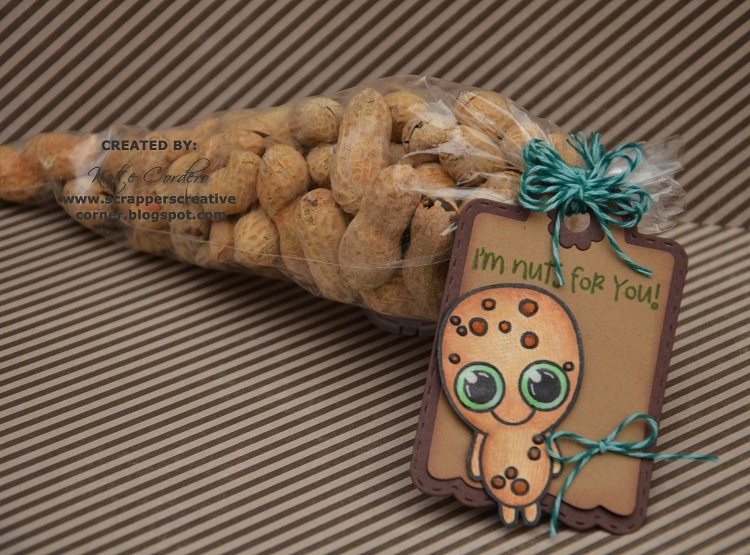 I decided to make a little nutty treat for today. Hello all from the Happy Card Encouragement Factory. I have a little inspiration for your Father's Day gifts today with a bit of Twisted Teal and The Alley Way Stamps. Can you guess what I want my hubby to do with his 'stache? LOL It may seem like a kind of lame gift, but we go through a lot of shaving cream and razors around my house with three guys. 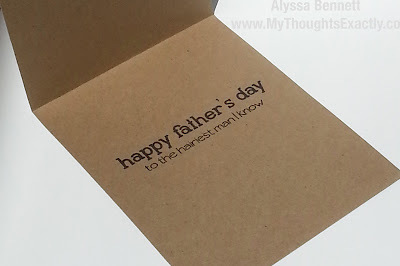 I'm pretty sure one of the boys will take it from their dad before the day is over. Jamie here to share a new Trendy Twine project with you. 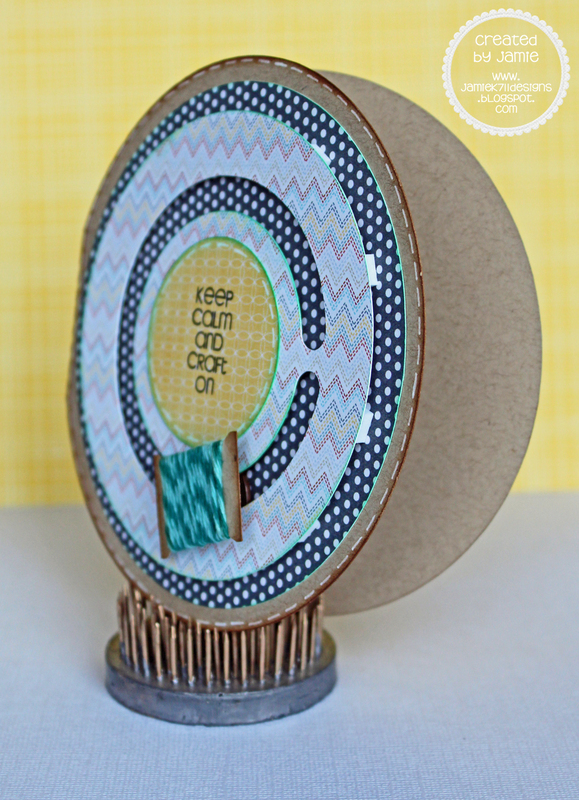 I made a penny slider card, with a tiny spool of twine that spins along the track. 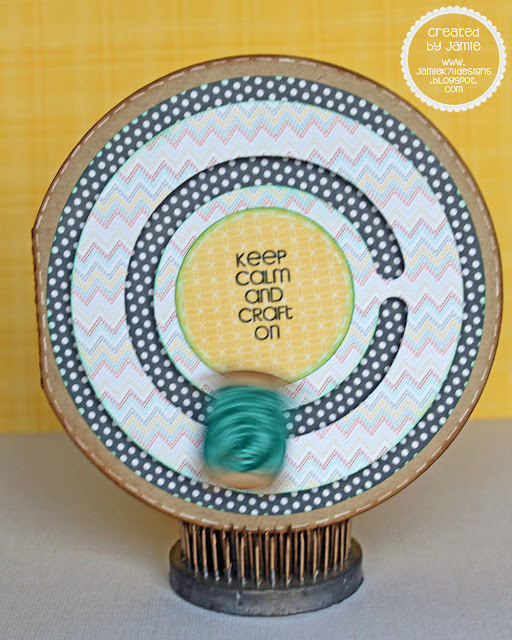 A picture of the spool in motion. 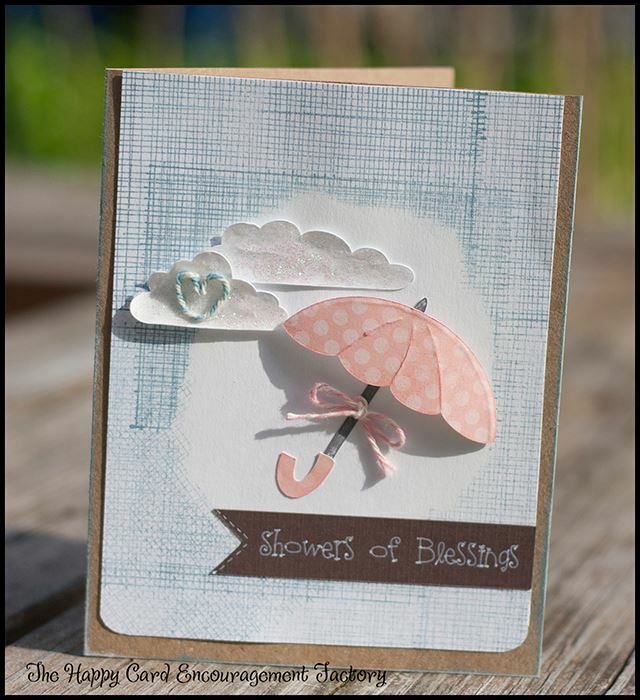 For details on my card visit my blog here. You can join us in the challenge HERE. You can pick up Tickled with Teal HERE and Twisted Teal HERE both are on sale this month! Happy Monday! It's Alyssa here from My Thoughts Exactly :D This month we are showcasing Tickled with Teal and Twisted Teal Trendy Twine, both of which are on Sale this month! 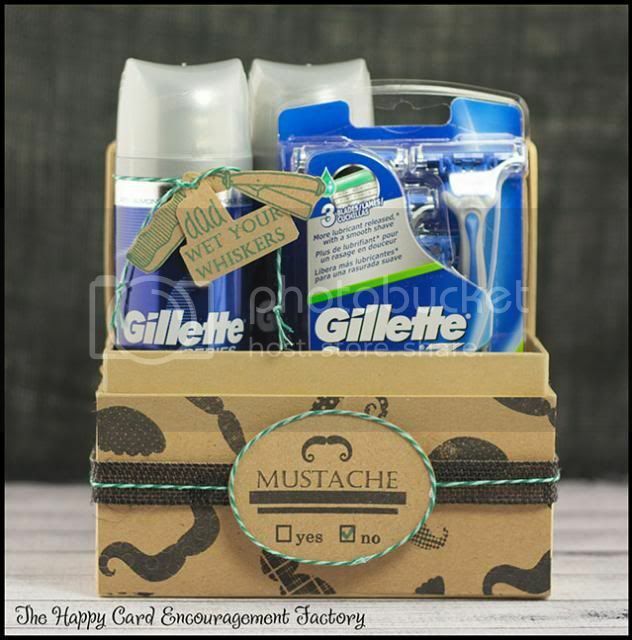 They also have an adorable little Mini Pack available for sale! Be sure and enter this month's challenge!! 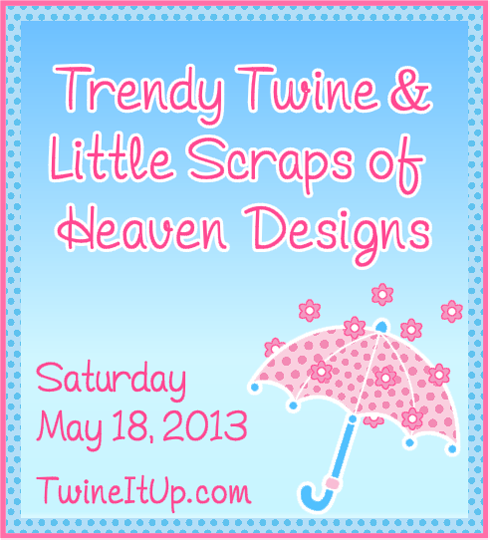 We are so thrilled to be teaming up with Little Scraps of Heaven Designs today. 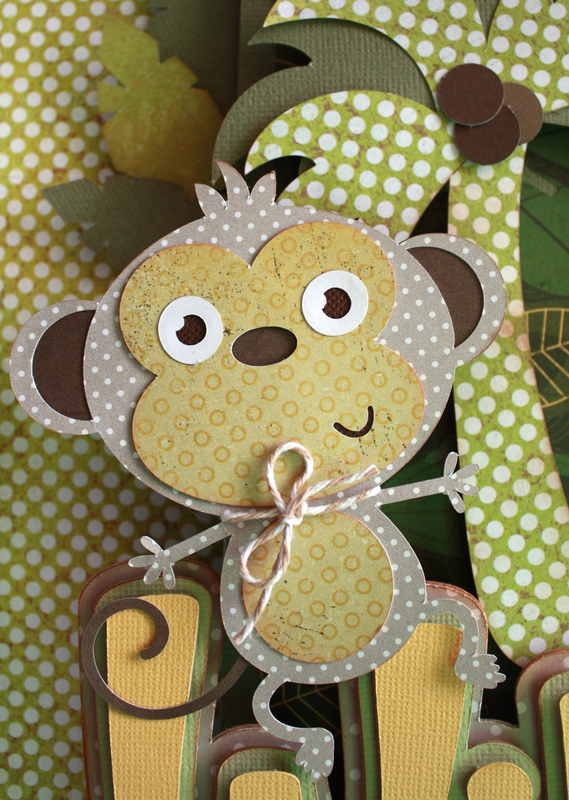 Both Design Teams created gorgeous projects using both Trendy Twine & files from LSHD. 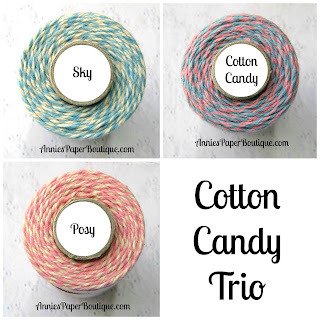 and you can grab this trio for a great price. Let's get a look at these awesome projects. 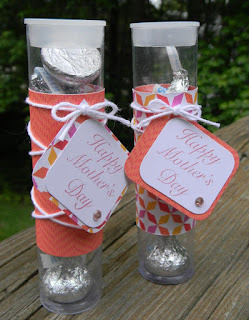 Visit each blog for more details, including the LSHD files that were used. Why don't you leave some bloggy love while you are there? 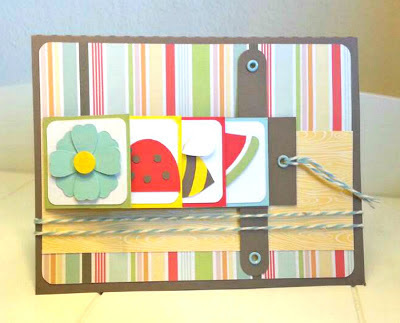 Be sure to stop by the Little Scraps of Heaven blog to see their projects, too. You have until the 24th of this month to enter. I used a little bit of the Twisted Teal in on of my Hot Air Balloon. 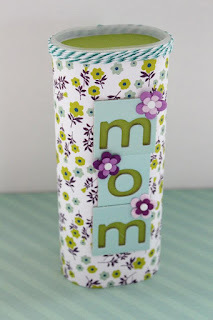 It's Yvonne, from One Creative Momma, and today I'd like to share with you my take on this months Trendy Twine Challenge. 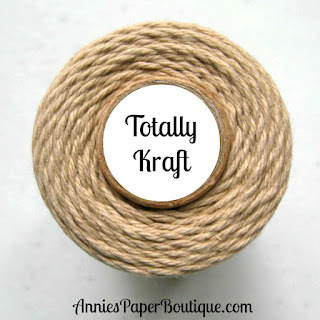 Get Krafty with the Color Kraft and Trendy Twine. 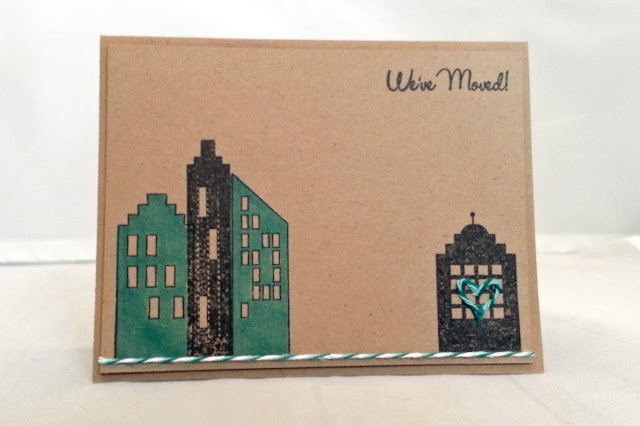 I used the featured twine of the month, Twisted Teal, as a frame centered on the card and The Alley Way Stamps - Life is Short stamp set. 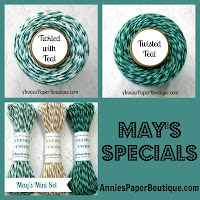 You can find the featured twine on sale HERE. The Alley Way Stamp set HERE. 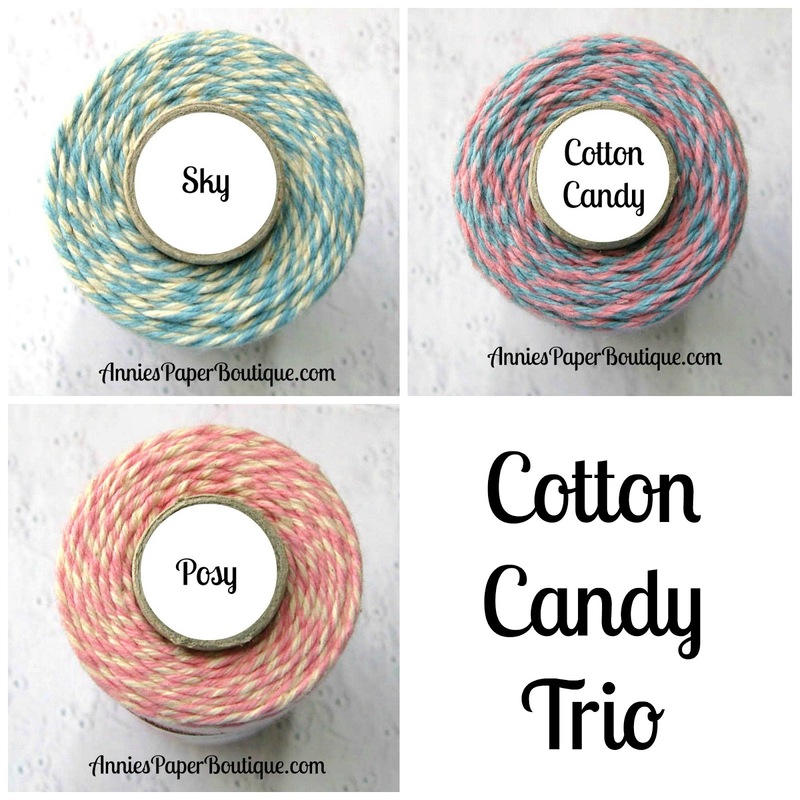 To find out more about my project and what I did with Trendy Twine, TAWS stamps and Shrinky Dinks you have to stop by my blog HERE. Thank you for stopping by and we look forward to seeing your entry in our Challenge! Jamie here, and I've got my take on the challenge to share with you! So I made this cute tag! I used the rhinestone feature in the Silhouette Studio to make a chevron pattern and then stitched it with Tickled with Teal. 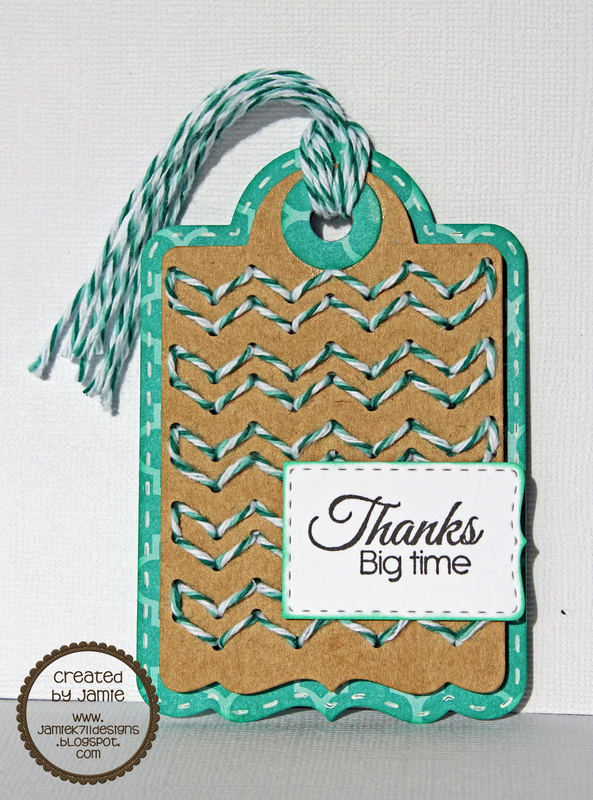 (I'm a bit obsessed with chevron these days) I also added some twine to the top of the tag. 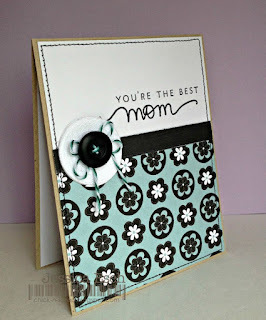 For details on my tag visit my blog here. 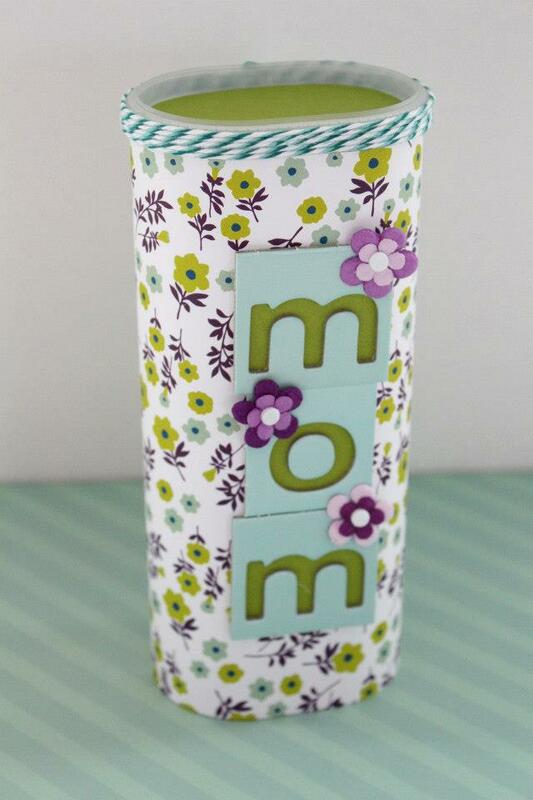 make your Mother's Day a little happier. 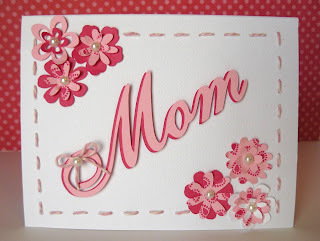 Be sure to stop by each blog for more details and to leave some blog love. Happy Mom's Day from Trendy Twine!